Blogging and Email Marketing are two important elements of the digital marketing sales process that can and should be combined for more powerful marketing campaigns promoting your company’s services. Both of these marketing options act like newsworthy content for your business, this process for example will constantly keep your clients up to date with special offers or deals you may be offering now or into the future. Alternatively, content can be topical and featured within the news, content written as ‘current affairs’ really entices a reader also. The great thing is that Blogging generates leads for your email system, well informed or topical blogs enables you to discover what is interesting your email readers. As a result, you should benefit massively from combining the two channels to make your business a greater success in the online world. There are two popular options for this strategy, the first is to create content via your email marketing campaigns that you can then direct to content via your business blog. For example, creating a shorter piece of content for your readers that are engaged with your emails, followed by a longer version of this content uploaded to your website as a Blog is a common option. The other strategy is to create content on your blog as usual and just inform your email audience that you have created new blog content at the end of email marketing messages, this can also be advertised well on your Social Media platforms. 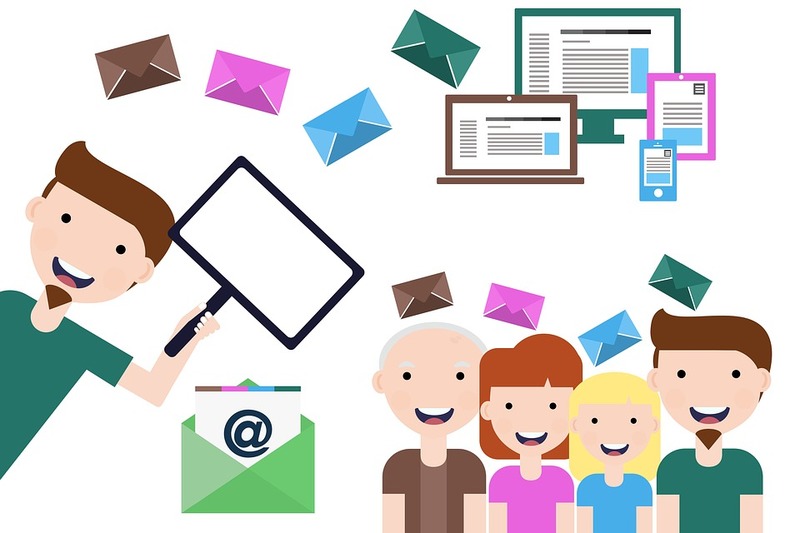 You can also benefit from knowing what information your email marketing audience is interested in, by what stories they are clicking through to. Like any and all business decisions, the way of working is to be proactive and plan ahead. The combination of Blogging and Email Marketing can help you do this tenfold. But… what if you don’t have the time to do your online marketing? Here at Universal Web Design, we’re able to keep on top of your powerful online content reaching your new and existing customers. You’ll be surprised how many sales we help you generate through our marketing strategies! now that’s what you call planning ahead! In addition, we create anticipation and excitement with your audiences, especially around new products and services with our expert team producing outstanding content on a daily basis. If you would like to find out more information regarding Blogging or Email Marketing separately or combined, you can check out packages on the UWD website! You can also reach our marketing team via marketing@universalwebdesign.co.uk if you have any questions in relation to the Blogging and Email Marketing we provide. Alternatively, you can call us today on 01206 588 000, where we’re only too happy to help you grow your online presence!